Let us know which days and times you might be available. I'm willing to speak publicly as a survivor of sexual assault. There's only one week left to stop Trump's Supreme Court pick, sexual predator Brett Kavanaugh. One of the most important things we can all be doing right now is confronting senators in DC, face to face, and publicly calling them out. Just last Friday, minutes before the Senate Judiciary Committee vote, two brave women did just that to Senator Jeff Flake (R-AZ). It made national headlines, causing Flake to call for a delay in the full Senate vote in favor of an FBI investigation. 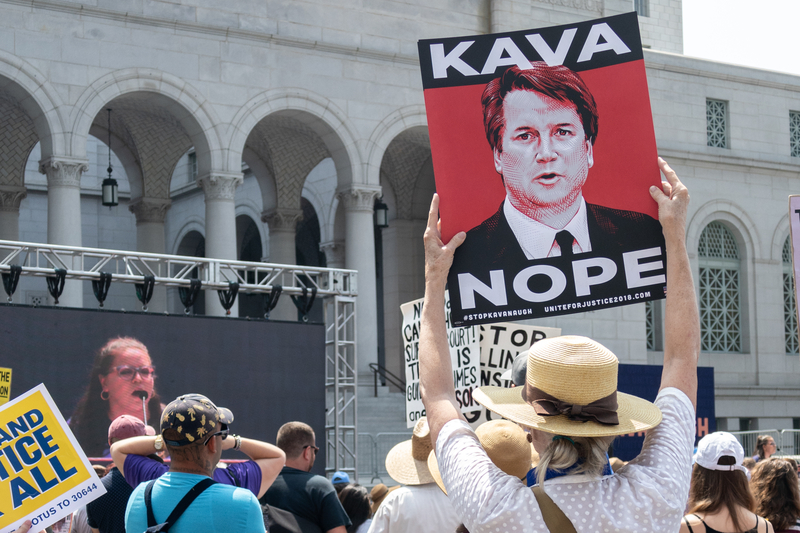 Will you sign up to join us on Capitol Hill this week to protest in the halls of the Senate and potentially speak with more Republican senators, face to face, about stopping sexual predator, Brett Kavanaugh? Shifts are available every single day this week, at 8:30 a.m., 12 p.m., and 4 p.m. Sign up for as many as you can, and someone from UltraViolet will get in touch ASAP.